Your contribution is important. Thank you! United Sound, Inc. is a nonprofit organization, tax exempt under section 501(c)3 of the Internal Revenue Code. Your donation will help us to provide musical performance experiences for students with special needs. Thank you! Financial Stewardship: Did you know that United Sound costs less than $50 per child? Or make a donation (any amount) that goes directly to students in your state! Does your employer participate in a corporate matching gift program? 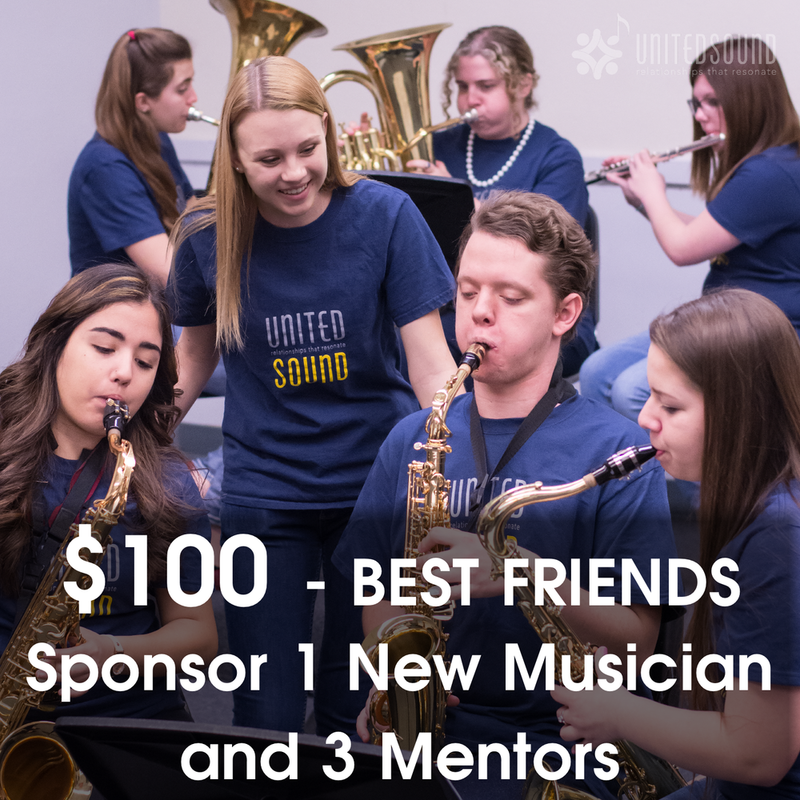 A gift of $1,000 or more is greatly appreciated and will provide vital general operating support for United Sound, Inc. While these contributions are typically made on an annual basis, the future of any program can be secured with an endowment gift. Please contact us if you would like to direct the use of your support to a specific area of programming.